How to watch Kickboxer (1989) on Netflix Australia! Sorry, Kickboxer is not available on Australian Netflix, but you can unlock it right now in Australia and start watching! With a few simple steps you can change your Netflix region to a country like France and start watching French Netflix, which includes Kickboxer. We'll keep checking Netflix Australia for Kickboxer, and this page will be updated with any changes. Kickboxer is not available in Australia BUT it can be unlocked and viewed! When kickboxing champ Eric Sloane is crippled in the ring by the evil Tong Po, Eric's younger brother, Kurt, seeks vengeance. When his life is shattered by a ruthless savage, a furious coach becomes the kickboxer: a vengeful Muay Thai master. There is a way to watch Kickboxer in Australia, even though it isn't currently available on Netflix locally. What you need is a system that lets you change your Netflix country. 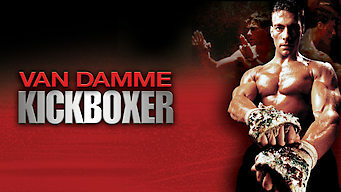 With a few simple steps you can be watching Kickboxer and thousands of other titles!